Street Address : No. 236, Yongan Road, Hengshui City, Hebei Province, China. Galfan gabion cage is a new type material gabion cage, which contains 5% aluminum and 95% zinc coating. 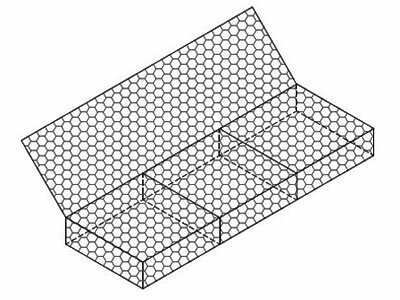 Compared with galvanized gabion cage, which contains 99% zinc coating, Galfan coated gabion cage offers around three times greater protection to the gabion cage. The aluminum coating will form an oxidation film to resist the corrosion, rust, acid and alkali erosion. When this layer is broken, there are still zinc coating protection. Different technology. It can be divided into Galfan woven mesh gabion cage and Galfan welded gabion cage. Galfan woven mesh gabion cage. It is commonly used in the water conservancy project, especially the differential settlement applications due to its flexible and durable life. Galfan welded gabion cage. It is widely used in the landscape constructions, such as feature wall, fireplace, gabion planter.